The Tamil university is dedicated to uphold Tamil traditional arts, science and technology in order to enrich the generations. Based on this, the Music Department of this university continues to promote education and research activities in the field of Tamil traditional arts like Music and Bharathanatyam. 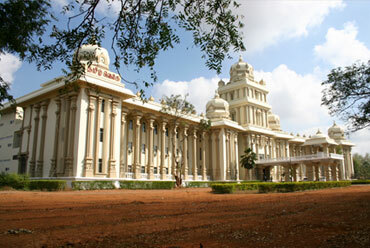 The Directorate of Distance Education and the Music Department of Tamil University, have collaborated with the Tiruchirappalli Diocesan Educational Society of Tiruchirappalli Diocesan which has been involved with great commitment in promotion of academic services in the fields of Music and Bharathanatyam for more than thirty years and offer different courses in these art forms for the benefit of the student community. We hope that the students will make use of this great opportunity and help in the effort of preserving and fostering the Tamil traditional art forms. Tiruchirapalli Diocesan Educational Society is a registered society of the Roman Catholic Diocese, formed by the Bishop of Tiruchirapalli to promote education from the primary to the university level for all sections of society, as a mission to empower the marginalized through the Distance Education offered by the universities and part time Education Programmes. TDES identified the need to promote Indian traditional fine arts and to empower the artistes and the youth with academic qualification in these art forms. 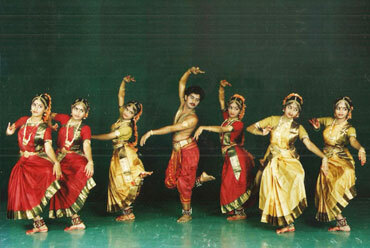 Eventually, TDES entered into a Memorandum of Understanding with the Directorate of Distance Education, Tamil University, Tanjavur in November 2014 for offering distance education programmes for Bharathanatyam and Music. This MOU has been renewed in 2017 for another three years.